Striking teachers picketed outside of schools and marched through Denver’s streets Monday as car horns blared in support of the latest U.S. walkout amid a swell of educator activism in at least a half-dozen states over the last year. 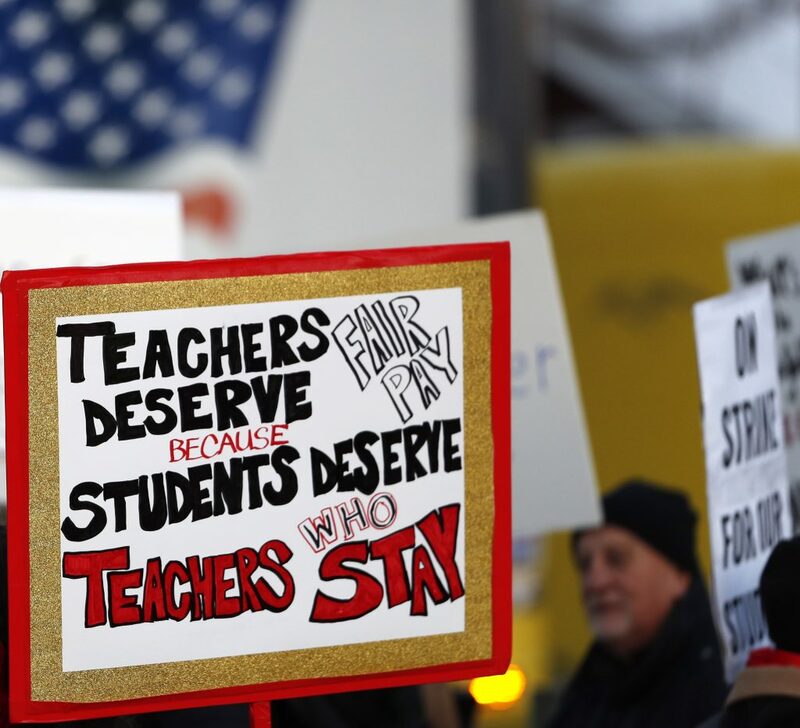 The strike affecting about 71,000 students in Denver comes about a year after West Virginia teachers launched the national “Red4Ed” movement with a nine-day strike in which they won 5 percent pay raises. There have since been walkouts in Washington state, Arizona, Kentucky and Oklahoma. Most recently, Los Angeles teachers staged a six-day strike last month. That walkout ended when teachers received a 6-percent raise and promises of smaller class sizes and the addition of more nurses and counselors.